Enjoy the serenity of Ayurveda with this amazing journey specially curated to pamper you with the authentic Ayurveda Treatments practised in Sri Lanka from generation to generation. Cleanse yourself with this wonderful combination of Sri Lankan culture, history & lankayurveda with expert local healing practitioners. The unique benefits of Sri Lanka’s “Lankayurveda” is that it helps your body detox, cleanse and rejuvenate you as a whole physically as well as emotionally. On this short tour of Sri Lanka, relaxation and rejuvenation are the focus while we also explore some of Sri Lanka’s cultural history. Our short tours can be taken individually or joined together to give you the experience you desire. 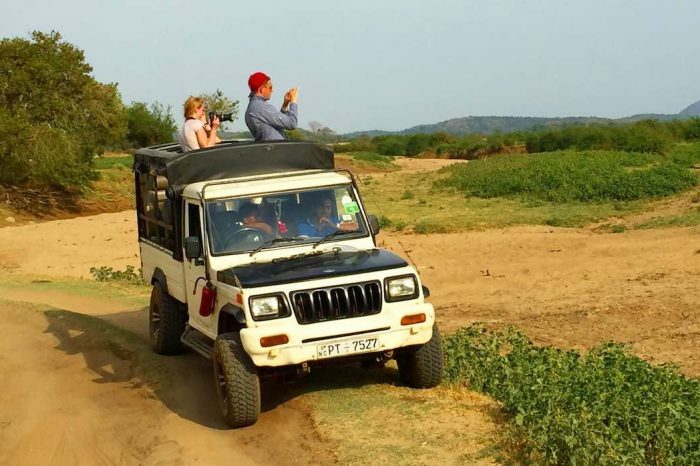 These experiences depart any day and include the exclusive use of a guide who will ensure you and your travel companions receive an experience that is all about you. This relaxation packages commences with complimentary airport transfers, a full board package including all breakfasts, lunches and dinners during your stay with healthy Ayurvedic meals prepared according to your body type and physical and emotional needs. On arrival in Sri Lanka you will be greeted and transferred to Jetwing’s Ayurveda Pavillion in Negombo. Jetwing Ayurveda Pavilion is the ultimate Ayurveda retreat in Sri Lanka. The resort encompasses a holistic approach towards wellness, through age old methods and techniques practiced for thousands of years. Inspired by local architecture, the entire resort is created to provide an authentic village type experience without compromising on luxuries. 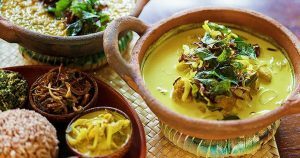 Relish the unique gastronomic experience at the Ayurveda Pavilions as all meals are prepared to suit the needs of every individual’s body and ailments following healthy and scrumptious Ayurveda recipes. Your days will be carefully planned by your guide and the team at Ayurveda Pavilion to ensure you get the relaxation that you desire. During the booking process we will plan any additional day trips that you may desire. The capable hands of the onsite team will pamper you during your stay. This morning we travel to Sigiriya, visiting the Dambulla temple en route as we enter the heart of the cultural triangle of Sri Lanka. Our resort for the Amuna is the ultimate getaway for a true traditional Sri Lankan living experience. The resort embodies a holistic approach towards wellness with the use of “Lankayurveda” a traditional Ayurveda practice that has been passed down for thousands of generations. Inspired by the village life of Sri Lanka. The architecture of each building is designed using eco-friendly materials and dwellings takes the liking of simple yet elegant village houses while you enjoy a personalised organic Sri Lankan meal that is made just for you. Located in the heart of the cultural triangle prepare to fall in love with this beautiful surrounding where the Kandalama lake borders the horizon. Amuna embodies an excellent concept of an authentic ayurveda and yoga retreat in Sri Lanka. Your days surrounded by the rivers, lakes and paddy fields will be carefully planned by your guide and the team at Ayurveda Pavilion to ensure you get the relaxation that you desire. During the booking process we will plan any additional day trips that you may desire, including a morning or evening climb of Sigiriya rock. Your day to day schedule is flexible, allowing you to be left in the capable hands of the onsite team who will pamper you during your stay. As your relaxation experience comes to a close we transfer you back to Colombo for your onward flight home. You should be feeling refreshed, cleansed, relaxed and ready to take on the world once again. 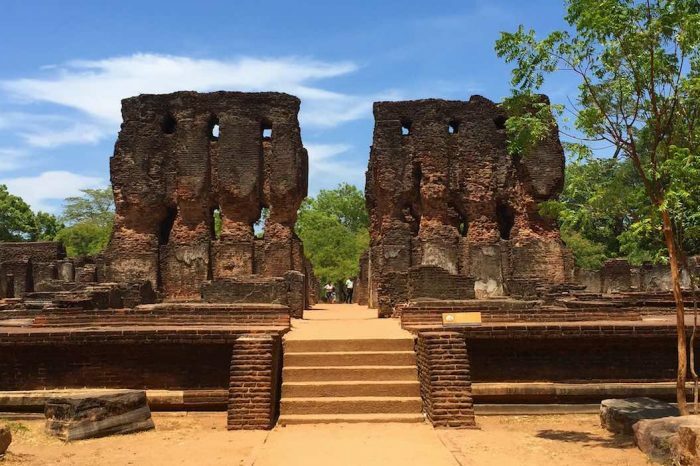 Those wishing to explore Sri Lanka further can add on any of our short tours or our team will customise a journey for you to suit your schedule and budget. What’s included and not included in this relaxation packages experience is pretty clear, we think. We like to keep things simple, so you won’t find page after page of terms and conditions (although we are required to have some to protect both you and us). For this program, we include 7 nights’ accommodation at the hotels chosen by the guests at each destination. If we say we include an activity in the itinerary above, then we include it. Optional activities or what we suggest you could do in your free time are just that – optional and not included – although we have tried to include as much as possible so you get the best experience possible. We do not include airfares to and from Sri Lanka. If you require airfares, please contact us and one of our partners will be happy to assist you. Click here to get a Personal Quote for this package! 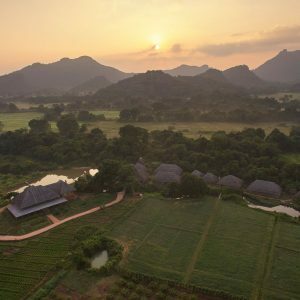 This eco vacation will let you satisfy the curious explorer inside you by choosing an off the beaten route to your adventure in Sri Lanka while allowing you to heal your mind, body & soul by maintaining or establishing a wellness routine, unique to Sri Lanka. 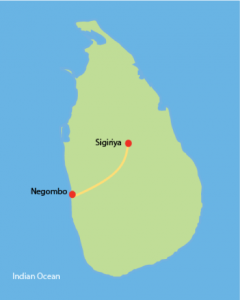 Our southern Sri Lanka tour follows the south coast of this beautiful island. 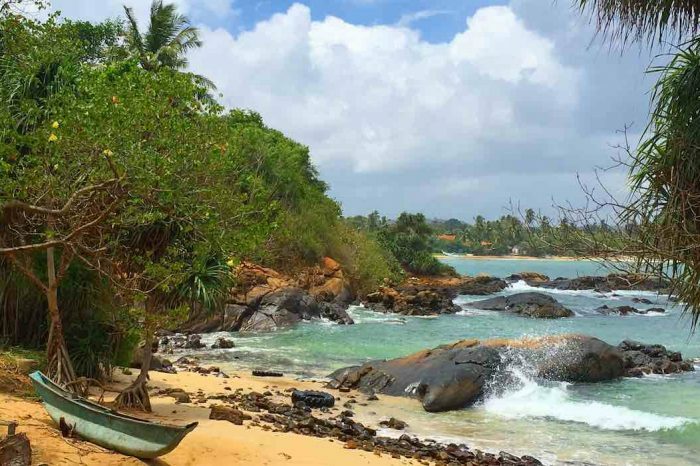 Following the coastline south we visit Galle with its historic dutch fort, explore rainforests and stunning beaches and take safaris that rival the plains of Africa. For those that don’t have much time, we’ve prepared an express version of our signature tour of Sri Lanka. We move a little faster to ensure that you can experience Sri Lanka during the time you have available.